'A dashing biography full of rich detail and sharp comment'The TimesRobert Harvey has written an in-depth study of the extraordinary man who was one of Britain's great romantic adventurers. 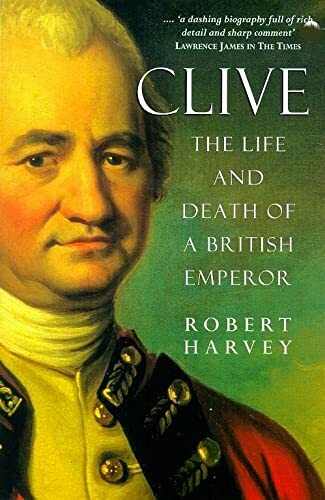 At the age of 35, Clive had conquered the continent of India and established an empire that endured for two centuries. Despite his fame and immense fortune, he died mysteriously at the age of 50. His death was thought by many to be suicide, but Harvey produces compelling evidence that casts doubt on that. With access to unpublished papers CLIVE OF INDIA illuminates the real man behind the myths for the first time.